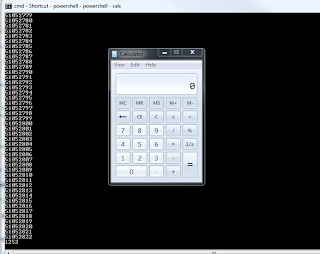 Microsoft Windows Pro SP3 full ROP calc.exe shellcode. 28 bytes small Linux x86 execve("/bin/sh") shellcode. 61 bytes small Unix/x86 reverse shell TCP port 30 shellcode. Alphanumeric shellcode is similar to ascii shellcode in that it is used to bypass character filters and evade intrusion-detection during buffer overflow exploitation. This article documents alphanumeric code on multiple architectures, but primarily the 64 bit x86 architecture. Alphanumeric shellcode requires a basic understanding of bitwise math, assembly and shellcode. Abstract: This talk will give an overview about how modern attack analysis tools (dynamic honeypots, an automated shellcode analyzer, and an intrusion signature generator) can be used to get a deep understanding about what attacks do and how they work. A live demo will be given to demonstrate the usage of those tools. The first post talks about executing shellcode and gives the calc.exe example. These examples work on x64 and x86. yay! You can review the code but it only shows a x86/32bit shellcode. This will fail miserably on x64. CG was a sad panda. You will need to set the execution policy for v1.0 powershell, or possibly try a bypass technique. I ended up adding this to Nicolas' code before it started doing its thing (line 24). It detects if its not x86 and just runs the shellcode with the x86 PowerShell. You'll have to set the execution policy for it first. write-warning "WTF! This is 64x, switching to 32x and continuing script." 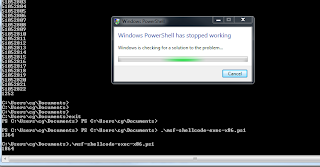 Remember that you have to migrate out of the PowerShell process. Much like the office macro and shellcode exec, if user closes office, or you close exit powershell process shell goes bye-bye. 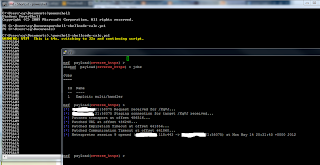 189 bytes small add user t0r with password of Winner shellcode for Linux x86_64. Sysax Multi Server version 5.53 SFTP post authentication SEH exploit with egghunter shellcode that binds a shell to port 4444. 97 bytes small OS X / x86 shellcode that binds a shell to port 4444. Sysax Multi Server version 5.52 and below file rename buffer overflow exploit with egghunter shellcode that spawns a shell on port 4444. This whitepaper goes into detail on how to use egg hunting shellcode in order to exploit a BisonWare FTP server. Win32/XP Pro SP3 (EN) 32-bit beep beep shellcode. Kraken Payload Generator is a bash script that makes use of msfpayload to generate various shellcode. 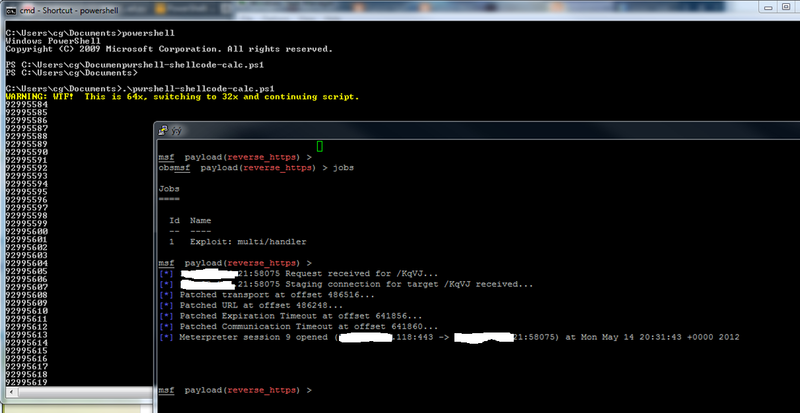 180 bytes small Linux/x86 add new user/password shellcode. This shellcode writes down your code in the end of found files. Your code will be added only .html and .php files. Search for files is carried out recursively. Linux/x86 polymorphic shellcode that escalates uid/gid and adds user iph to /etc/passwd without a password. 168 bytes small Linux/MIPS connect back shellcode (port 0x7a69). 32 bytes small Linux/MIPS reboot() shellcode. 52 bytes small Linux/x86-64 execve(/bin/sh) shellcode. This is part two of the Simple x64 XOR Shellcode Encoder / Loader paper that adds in simple obfuscation. 98 bytes small DragonflyBSD portbinding shellcode that spawns on tcp/31337. This is a simple tutorial that also provides a code example on doing a x64 xor encoder and loader for shellcode. hello_world, shell with setreuid, and portbind shellcode examples are provided. Universal OS X dyld ROP shellcode that spawns a shell on port 4444. Whitepaper called How To Create Your Own Shellcode On Arch Linux. 112 bytes small Win32/PerfectXp-pc1/sp3 (Tr) add administrator shellcode. 178 bytes small sys_execve ('/bin/sh -c "reboot"') OpenBSD/x86 shellcode. 36 bytes small execve('/bin/sh') FreeBSD/x86 shellcode. 27 bytes small FreeBSD/x86 shellcode that binds a shell on port 31337. This shellcode downloads and executes a file via a reverse DNS channel. 44 bytes small Linux/x86 remote download and execute file shellcode. 56 bytes small Win32/XP SP3 shutdown windows shellcode with a 30 second timer. 52 bytes small Win32/XP SP3 windows magnifier shellcode. 52 bytes small Microsoft Paint shellcode for Win32/XP SP3. Microsoft Windows XP 64-bit calc.exe shellcode. 33 bytes small Win32 egg searching shellcode that should work on all service packs of Microsoft Windows XP, 2k, and 2k3. 11 bytes small MessageBox shellcode for Win32/XP Pro SP3. 28 bytes small execve(/bin/sh) Linux/x86 shellcode. 81 bytes small FreeBSD/x86 connect back shellcode. 111 bytes small FreeBSD/x86 portbinding and forking shellcode. Abstract: Shellcode is the crux of any exploit being run today. It dictates what the exploit aims to gain from its use — without shellcode the exploit does nothing. Understanding what shellcode does can be a major step in the incident handling process. Shellcode can do anything you can imagine code could do. Not every shellcode used in an exploit downloads malware or spawns a shell. Times have changed and the targets have updated their protection. Shellcode today could be a straight forward API call to download a file and execute it or it could be code to just disable/create a firewall rule on your windows server. Catching an exploit is a great step in understanding the purpose of an attack. Extracting and reviewing the shellcode will allow you to streamline your incident handlers to collect malware and focus their reviews on particular services or applications. This talk will demonstrate methods on captured exploits for extracting shellcode and understanding its purpose. 228 bytes small Microsoft Windows XP SP3 EN null-free connect-back shellcode. 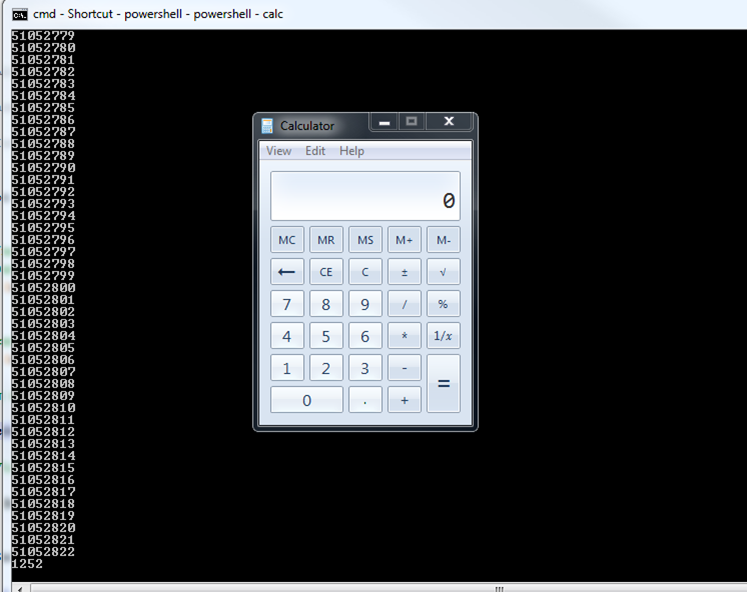 16 bytes small Windows XP SP3 EN calc.exe shellcode. ARM shellcode that binds a shell to port 0x1337 on any local address and waits for a connection. ARM shellcode that will bind to port 68 on any local address and plug a UDP shell onto port 67 on 192.168.0.1. ARM shellcode that will bring up eth0 and assign it the address 192.168.0.2. ARM shellcode that binds to port 0x1337 on any local interface, listens for a connection, receives the payload and passes execution to it. 326 bytes small generic Win32 add new local administrator shellcode. 113 bytes small generic Win32/XP Pro SP3 add new local administrator shellcode. 42 bytes small Win32/XP SP3 (Tr) cmd.exe shellcode. 127 bytes small add administrator account shellcode for Win32/XP SP3. 75 bytes small firefox.exe shellcode for Win32/XP SP3. 87 bytes small edit with notepad.exe shellcode for Win32/XP SP3. 53 bytes small Win32/XP SP3 (Tr) calc.exe shellcode. 52 bytes small Win32/XP SP3 (Tr) cmd.exe shellcode. 74 bytes small Win32/XP SP3 (Tr) create new file (zrl.txt) shellcode. 109 bytes small Win32/XP SP3 MessageBoxA shellcode. This shellcode is an egg hunter checksum routine. 46 bytes small /bin/sh null-free polymorphic shellcode for Linux/x86. 37 bytes small sethostname to c0debreaker Linux shellcode. 87 bytes small standard system beep polymorphic Linux shellcode. 75 bytes small Linux / x86 shellcode that binds a shell to port 8080 using netcat. 76 bytes small Linux / x86 shellcode that performs a connect back using netcat. 49 bytes small execve( /sbin/iptables , [ /sbin/iptables , -F ], NULL) Linux/x86-64 shellcode. 278 bytes small write-to-file shellcode that writes the word pwned to a text file titled f.txt in the current working directory. This is a polymorphic shellcode generator for ARM architecture that produces execve( /bin/sh , [ /bin/sh ], NULL). Bind port to 6678 XOR encoded polymorphic Linux / x86 shellcode.